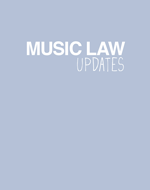 COPYRIGHT Live events sector PRS for Music have extended the consultation to review the terms of it’s Popular Music Concert Tariff (Tariff LP). Tariff LP is applied to ticketed live popular music events such as concerts and festivals. Currently promoters pay 3% of Box Office receipts (after VAT) to the PRS for songwriters. The extension has been granted following the Concert Promoters Association’s (CPA) stated interest in conducting its own research in response to PRS for Music’s consultation documentation which was announced on April 13. The extension will help the CPA respond more comprehensively to the tariff review and the PRS welcomed the CPA’s commitment to engaging in this process. The extension is also supported by a number of industry bodies in the live sector. Tariff LP was originally agreed in 1988, though was last reviewed as recently as 2010/11, when the PRS decided to keep the system as it was. The deadline for the consultation’s completion has now been extended until 30 September.